Color vision deficiency or, as it is more commonly known, color blindness, occurs when you are unable to perceive a wide spectrum of colors that the eye should be able to see. Color blindness can affect people at a variety of different levels, some may just only be unable to discern shades of red and green while others might see the world only in shades of grey. The most common color blindness affliction is the inability to discern shades of red and green, but a small percentage of people who suffer from color blindness will only see the world in black and white. In most cases color blindness is inherited and passed down through the generations, but there are some instances where color blindness can be caused by injury or disease or other possible circumstances. Unfortunately, those who inherited their color blindness from a relative will most likely have to deal with the symptoms of color blindness their entire life. If the optic nerve or retina is damaged in some way, it could cause you to develop some level of color blindness. Diseases such as diabetes, glaucoma, Alzheimer’s disease, Parkinson’s disease, age-related macular degeneration and multiple sclerosis have been known to cause symptoms of color blindness. If you have injured your eye or have one of the aforementioned diseases, it is important that you consult your eye doctor about your vision to ensure everything is working properly. 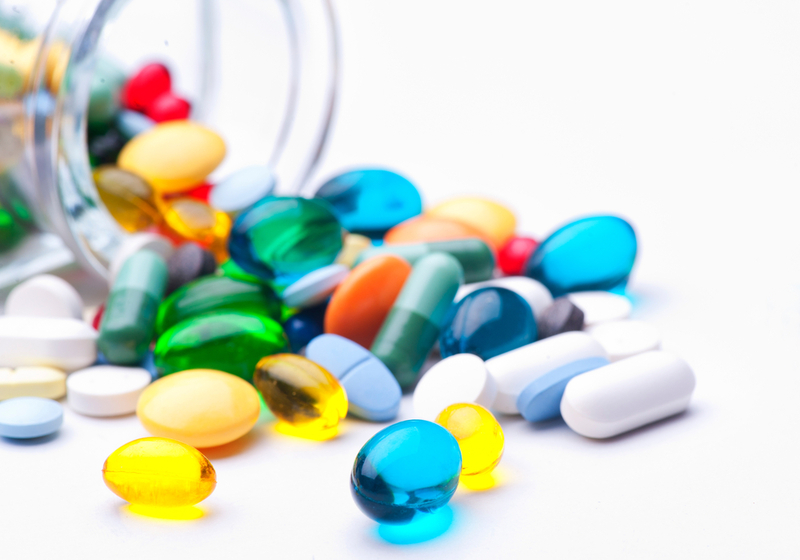 Some prescription medications have been known in rare cases to cause symptoms of color blindness as well. Medications used to treat heart disease, high blood pressure, depression and other psychological problems have been known to occasionally cause issues with color blindness. Genetically speaking those who are at the highest risk of developing color blindness are white males. In fact, 8 percent of all white males will struggle with color deficiency at some point in their lifetime, while only 0.5 percent of women will have to deal with color blindness. If you believe you are having difficulty discerning different tints and shades of color, then it is recommending that you call your eye doctor and set up a regular comprehensive eye exam. Digital eye strain is a rapidly growing issue in today's computer reliant world. If you work in an office, chances are you will be spending quite some time in front of a computer screen which can cause your eyes to strain. In fact, 70 percent of Americans who work with computers on a daily basis deal with symptoms of digital eye strain. Luckily, there are some precautions you can take to help prevent digital eye strain and protect your vision. 1. Don't forget to blink: This may seem like a no brainer, but studies have shown that when we use computers we tend to blink a lot less, which causes your eyes to become dry and irritated. Blinking helps to keep your eyes lubricated and also helps to spread necessary nutrients across the eye. 2. Using proper levels of Lighting: One of the biggest causes of digital eye straight is poor lighting and glare on computer screens. If the overhead lights are too bright then you should position your computer screen in a way that doesn't reflect the lights and create glare. Light coming in through the windows can be difficult as well, depending on the time of day, so you might want to consider closing the blinds if necessary. 3. Step away from your computer occasionally: There is a technique that can help you avoid digital eye strain called the 20/20/20 rule. This is an easy enough system to work into your daily routine. You just need to look away from your computer every 20 minutes at an object that is at least 20 feet away for 20 seconds or more. This technique is said to reset your eyes and keep them from getting strained. Taking these necessary steps to help avoid digital eye strain is not only great for you, but also your productivity in the workplace, so why not give it a try? If your eyes continue to be strained, then it is recommended that you see an eye doctor for a routine eye exam. Studies show that using the GlassesOff App does help to improve your eyes crowded and uncrowded visual acuity. Age-Related Macular Degeneration (AMD) is a very common eye condition among senior citizens. AMD damages your central vision, which makes it difficult to recognize faces, write, read, paint, and do really anything that involves making out the small details. This makes it a real problem for the older crowd. 1. Know your family’s medical history: If you discover that a close relative has AMD, then your risks of developing this eye condition increase drastically to a 50% chance. Knowing this information allows for you to schedule eye exams accordingly. Catching AMD early is essential in regards to protecting your vision. We aren't able to cure AMD yet, but catching it early allows for us to potentially slow down the vision loss. 2. Put down those cigarettes: A large amount of studies suggest that smoking increases your risk of developing AMD. Smoking has also been known to speed up your rate of vision loss should you be diagnosed with it. Smokers are considered to be twice as likely to develop AMD, then those who do not smoke. 3. Get into fitness: There are plenty of studies out there that suggest that exercising regularly helps to improve your eye health. Some studies even suggest that exercising three times a week can reduced your risks of developing more serious forms of AMD by as much as 70 percent. 4. Eat a balanced, nutrient rich diet: Eating a diet that is high in omega-3 fatty acids, but low in saturated fat and cholesterol is ideal for your eyes. 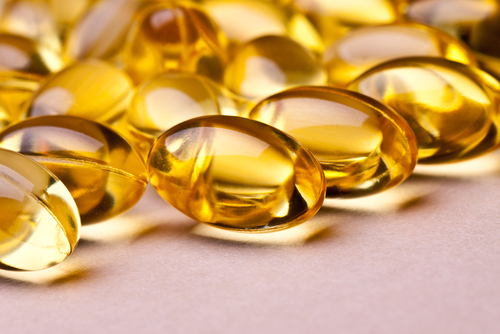 Studies have shown that people who eat diets rich in omega-3 fatty acids have reduced risks of developing AMD. Little tip—fish is a great source of omega-3 fatty acids. 5. Schedule regular eye exams: In the early stages of AMD, most people aren't going to see obvious symptoms with their vision. Having regular eye exams with your eye doctor is essential in catching AMD early, as only an eye doctor can detect symptoms in the early stages. Cataracts are the number one causes of blindness in the world. The first thing you probably think of when you hear the word “cataracts” is the elderly. It is understandable why that would be the case, because cataracts are most commonly seen in the elderly, but you don't need to be elderly to develop them—in fact, babies can be born with cataracts. While rare, cataracts have been seen in newborns—it is estimated that between 3 and 4 children per every 10,000 are born with or will develop congenital cataracts. There are multiple causes for this, but the most common include: trauma, metabolic dysfunction, and infections developed while in utero. In a healthy eye, light enters the eye through the cornea and passes through the lens, which then focuses the light onto the retina, which finally relays the information through your optic nerve into your brain. A cataract is the clouding of your eyes natural lens. The cataract blocks light coming into the eye thus not allowing the eyes lens to focus the light properly, which in turn causes blindness. 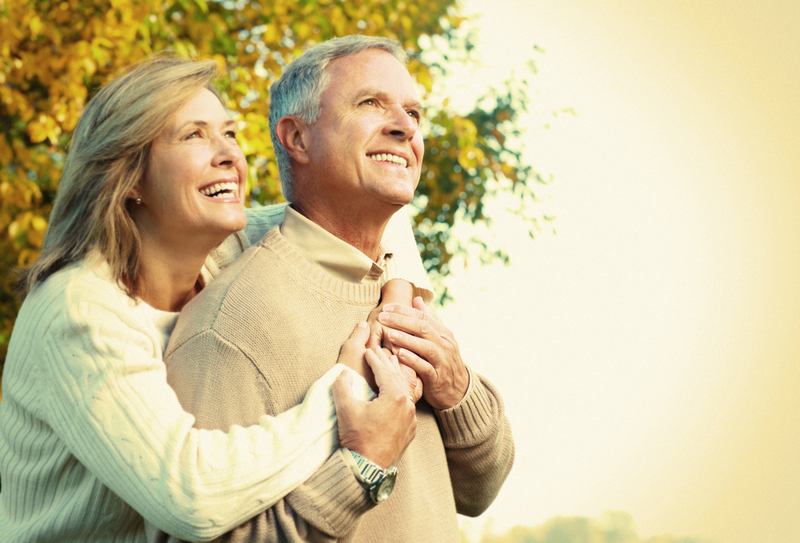 There are a multitude of reasons why you might develop cataracts before the age of 45. The most common reasons people develop cataracts at a younger age are: diet, medication usage, other health issues, physical trauma, and over exposure to UV rays. It is important to protect your vision, because it can be damaged easier than you think. Detecting cataracts early in those who begin to develop them early is essential in protecting their vision for the future. If left untreated, your eyes will not develop correctly and you will have vision problems the rest of your life. Make sure to schedule regular eye exams with your eye doctor to ensure your eyes are in good health. 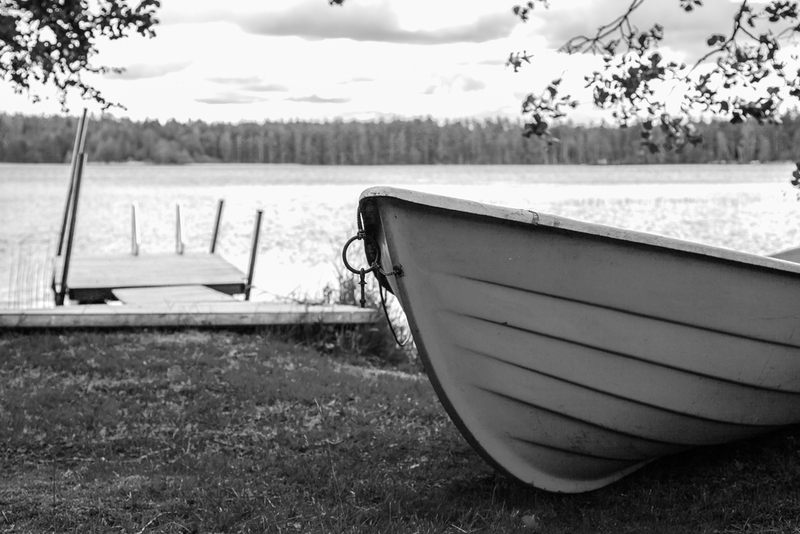 Yes, maybe it is a little early to be talking about summer, but it is a good idea to plan things out beforehand so you can maximize the beautiful summer weather. Studies show that fewer people choose to undergo laser eye surgery during the summer than during any other season. The reason behind this is that people’s schedules get busy with vacations, beach days, gardening, and other outdoor activities with friends and family. Before you make those summer plans you should plan a step further and consider getting LASIK now so that your summer can remain nice and open for you to enjoy. 1. The Freedom of Clear Vision Without Corrective Lenses: During the summer you are going to want to be active and outdoors enjoying that gorgeous weather. From traveling to playing Frisbee in your back yard you aren't going to want to have to deal with the frustration of losing your glasses or having your contact lenses pop out. Feel free with LASIK. 2. Feel Safer When You Travel: Being able to see the world around you clearly with your own two eyes does a lot to help you feel safer, particularly if you are in a new place you have never been before. If you are virtually blind without your corrective lenses, you might want to seriously consider LASIK for your own personal safety while you travel. 3. 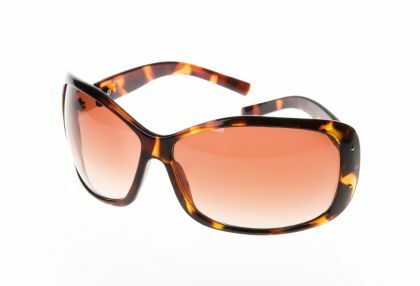 Be In Style: While there is such a thing as prescription sun glasses, it limits your options quite a bit! 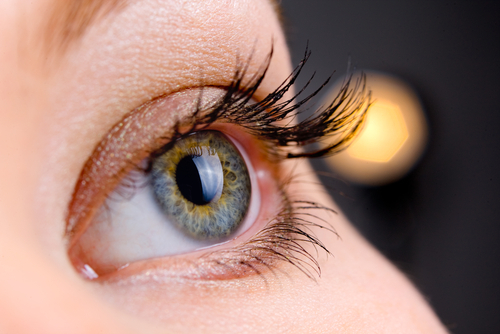 If you undergo LASIK surgery, then you will be able to pick up any pair of shares you want. Who doesn't enjoy having their sunglasses complimented? 1. You can actually wake up to clear vision in the morning, instead of fumbling around trying to find your glasses or get your contact lenses in. For many, this reason alone is enough to convince them to go through with the quick procedure. 2. For all the fashion conscious people out there you will no longer need to worry about which outfit matches your eye wear! You are free to wear whatever you please! 3. Hassle free travel! Well sure, you still have to deal with security scans and all of that, but you no longer have to worry about bringing along a backup pair of glasses or contact lenses in case something was to happen to your current set. 4. You have better vision than ever before. In many cases, people who undergo LASIK come out of it with better vision than they have ever had with corrective lenses! This is due to your eye doctor being able to make tiny adjustments to your eye that are just not possible with a prescription lens. 5. A nice self-esteem boost! Yes, you will no longer have to worry about what people might think about you because you wear glasses. A common phrase that gets thrown around a lot is “four eyes” and nobody enjoys being called that. Vision is a beautiful thing, thanks to your eyes you are able to see colors and perceive depth. You can focus your vision up close or looks far off into the horizon. All of these functions of the eye happen automatically when you open up your eyes similarly to how your camera can autofocus on your phone. Your eyes work in conjunction with your brain to process the images you see into one picture. The point of seeing your eye doctor for an eye exam is so that they can be sure each of the individual parts of your eyes are working properly and are healthy. Sclera – What is normally called the “white of the eye” consists of a tough membrane that helps protect the sensitive parts of the eye. It is composed of collagen and elastic fibers. Cornea – The surface at the front of the eye that acts as a protective layer for the pupil and iris. Aside from protecting parts of your eye, it focuses incoming light into other areas of the eye. You could certainly draw a comparison between the cornea and a camera lens as it has a similar function. The cornea does not require blood for it to operate properly, and is kept healthy by tears and aqueous humor (a type of eye fluid). Pupil – The big dark spot that is Located in the center of your eye that lets all the light into the inner parts of your eye. 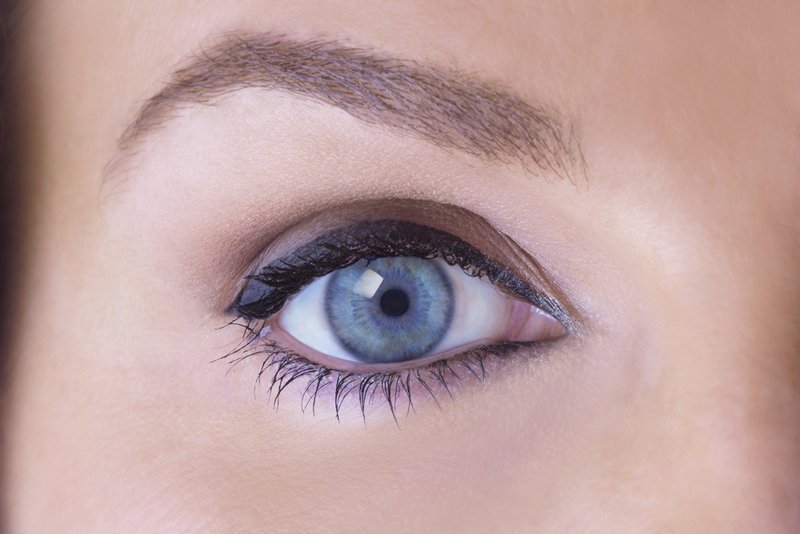 Iris – This is the pretty colored portion of your eye that surrounds your pupil. The iris changes its shape around the pupil to let in as much light as is necessary. 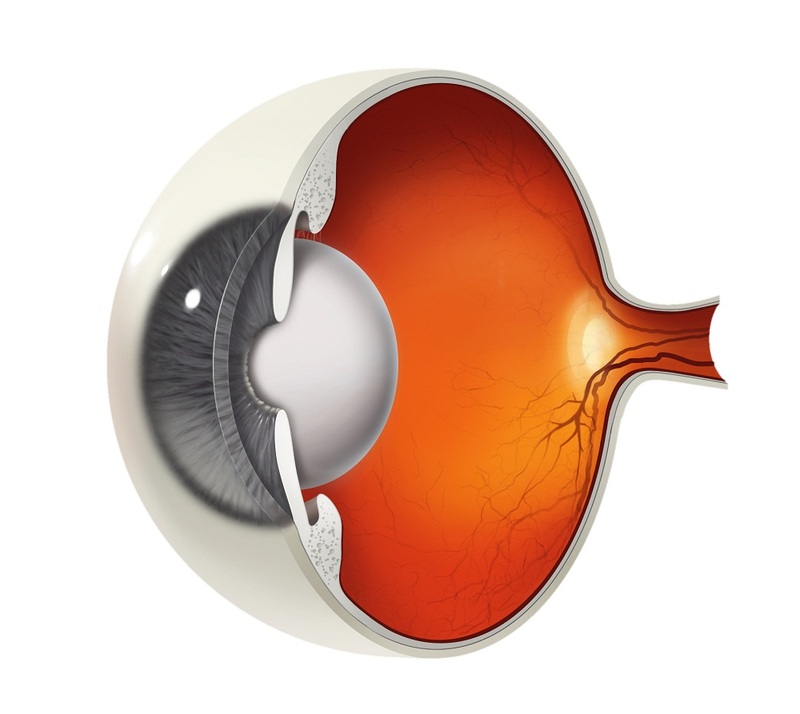 Anterior chamber – Located behind the cornea, the anterior chamber is a cushioned area filled with aqueous humor. Glaucoma is caused by blockage that is formed in the anterior chamber that prevents fluid from flowing in and out of the eye which creates pressure that can lead to blindness. Lens – Positioned deep inside your eye is the lens! Light that comes through the cornea then enters the pupil and hits the curved surface of your lens where it is then focused on the retina in the back of your eye. What happens when someone is suffering from having cataracts is that this inner lens has become clouded. This can be corrected with cataract surgery by removing the clouded lens and replacing it with a clear lens implant. Vitreous chamber – Behind the first layer of the human eye is layers of vitreous humor—a gel-like organic compound which gives the eye its shape. Retina – This part of your eye translates all the visual information it receives from your eyes into electrical impulses so that your brain can digest them. The optic nerve – The optic nerve takes the information from the retina and transmits it to the brain. You would think that there would be some input lag, and you aren’t necessarily wrong, but it is nearly instantaneous. The eye is an impressive piece of biological engineering with many different moving parts. With such an intricate design, it is easy for something to go wrong, which is why it is important for you to continue scheduling routine eye exams with your doctor. If you haven’t had a routine eye exam yet, be sure to schedule an appointment with us today! In my practice, I see patients of all ages who would like to be free from glasses or contact lenses. For individuals who are free from eye disease and have good overall eye health, that result can often be achieved. In my full article I discuss vision corrections options for every phase of life and give my suggestions on what might be the best option for you. Please click here to read my full article on Blink. 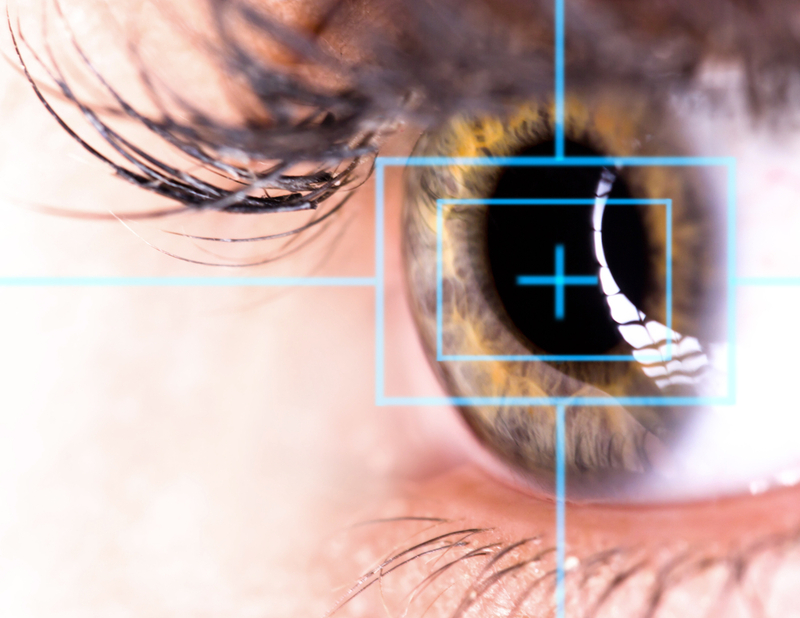 Ophthalmologist perform Laser Vision Correction surgeries every day on a multitude of different patients, but how often do the ophthalmologists undergo the procedure themselves, and would they recommend the procedure to family members and loved ones? A survey was recently conducted by Surgivision Consultants, Inc. to determine just that. In this survey, 250 ophthalmologists were selected at random from a database of 2,441 ophthalmologists known to have performed Laser Vision Correction (LVC) at some point in the past decade. Of the 250 selected, 248 (99.2%) responded, of which 232 (92.8%) met the criteria for the study and were sent a series of 22 LVC related questions. It was determined that 161 of the participating ophthalmologists suffered from refractive errors potentially treatable via LVC application, not including presbyopia. Of the 161 (69.4%) ophthalmologists with potential treatable refractive errors, 54 (33.5%) reported as being ineligible for LVC for a variety of reasons, while 107 (66.5%) reported as being eligible candidates for LVC. 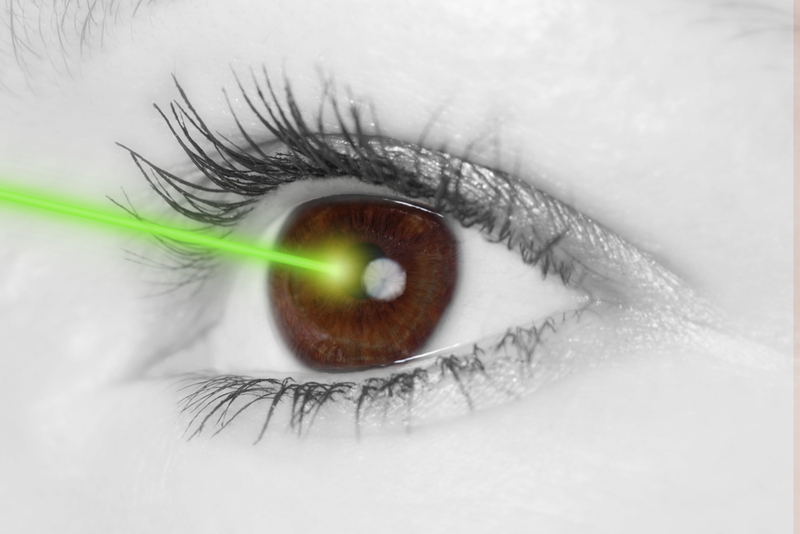 62.6% of the eligible LVC candidates reported undergoing laser eye surgery. Overall, out of the 232 ophthalmologists that took part in the survey, 90% would recommend LVC to a family member or loved one. That is a lot of information to absorb, but one of the most interesting statistics uncovered in the study is that 62.6% of the laser vision correction surgeons, that were eligible candidates for LVC, had it done on their own eyes. This is a striking statistic because only 13.1% of the general population, that are candidates for LVC, choose to go through with it. If you are considering LASIK or another LVC procedure, it should be comforting to know that ophthalmologists not only recommend it to their loved ones, but also undergo the procedure themselves. If you are interested in reading the full report on the results of the survey, click here. 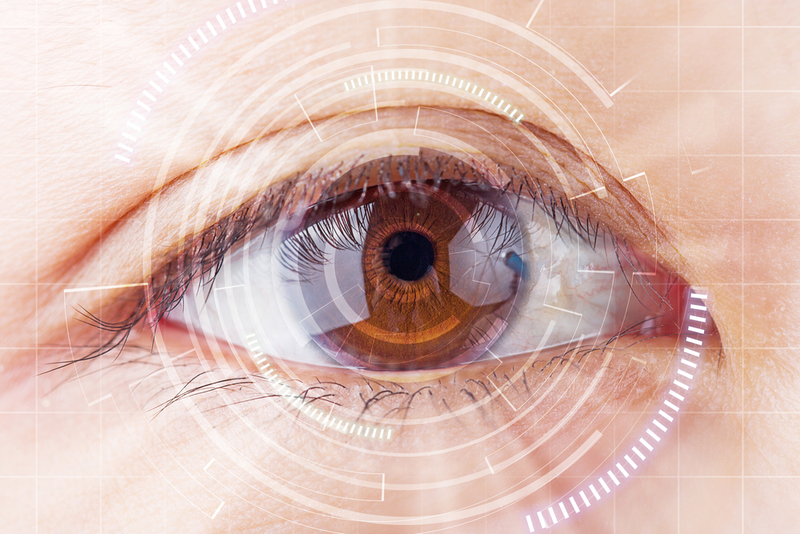 According to a survey conducted by Ronald R. Krueger, MD, MSE, at Cleveland Clinic, physicians see the benefits of Laser Vision Correction as much as the general public. Not only do most physicians see a boost in their quality of life after having laser vision correction, or refractive surgery, they also see an improvement in their work thanks to the increased visual clarity. Approximately 28 percent of survey respondents indicated that they perform surgery as part of their work, 43 percent said they perform procedures that require precision, but aren’t considered surgery, and the remaining 29 percent of respondents perform neither procedures or surgery. 84.8 percent of the total respondents claim they experienced an improvement in their vision compared to their prior method of vision correction. This level of satisfaction is in line with what has been seen among the general public. 39 percent of the total respondents claim their ability to perform precise procedures and surgeries had improved. These are encouraging results, check out the full article here. Preventative Medicine: Myth, or Legend? Just because modern medicine is becoming increasingly fantastic, doesn't mean you should stop taking care of yourself. In fact, despite the constant advances in medical research, more and more doctors are looking at preventative medicine as a means of decreasing medical risk. Although preventative medical techniques won't be able to stop health complications caused by genetics, age, or uncontrollable environmental factors—it can help to slow the affects. So, what are some of these preventative medicinal techniques? First of all, you should consider eating a healthy diet. Your eyes, much like the rest of your body, requires nutrients such as vitamins, minerals and antioxidants to function properly. Not all foods provide the right nutritional value for your eyes, so it is best to keep that in mind when going grocery shopping. Coincidentally, the best foods for your eyes tend to be ones that are brightly colored and easily noticeable from a distance such as berries, broccoli, grapefruit, carrots, and salmon. Make sure to keep a steady supply of food that has the following nutritional properties: Lutein, Zeaxanthin, Vitamin C (absorbic acid), Vitamin E, Vitamin A, Beta Carotene, Essential Fatty Acids, and Zinc. You won't get this nutritional value from your average processed foods, and eating an excessive amount of processed food can increase your risk of developing detrimental health conditions like diabetes, which can open up a whole new can of worms in regards to eye disease. Wait, so I just have to eat right, and then I'm all good? Make sure to stay hydrated – This sort of go along with eating healthy. Like a large percentage of the human body, the eyes are made up of liquid. This means that if you are suffering from dehydration, your eyes can be negatively affected. Try your best to stay on top of hydration and drink your recommended daily intake of water, and no—Soda doesn't count. Wear your glasses – Don't forget to wear your glasses! If you have a prescription, then chances are there is a reason for that. Failing to consistently wear your glasses can cause eye strain and uncomfortable headaches. Another pair of glasses that is important that you don't need a prescription for are sunglasses. If you find yourself spending a lot of time outdoors, make sure to be wearing the proper UV protective lenses, so you don't suffer damage due to over-exposure from the sun. Exercise – A big part of living healthy is maintaining a stead exercise plan helps to improve your bodies blood flow—an essential piece of the healthy vision puzzle. Strength training and cardio exercises boost your metabolism which helps prevent diabetes. You can actually exercise your eyes much like the rest of your body using proper techniques such as: Focusing on a small object and bringing it toward your nose to help boost your ability to change focus—particularly useful if you spend a lot of time in an office working in front of a computer. You can also combat eye fatigue by using a warm compress on your eyes at night before you sleep. Catch some Z's – Eye strain can come from more than just staring at screens all day long, in fact, stress can cause eye discomfort and even hurt your eye health over time. If you find you are under a lot of stress, it can help your eyes and temperament to take short breaks to rest your eyes. Don't forget to get the proper amount of sleep at night and most importantly, if you wear them, remove your contacts before going to sleep! Living a healthy lifestyle is difficult, especially with all the delicious unhealthy foods that are so accessible on a daily basis, but is one of the best methods of protecting your eyes from eye disease and helping to ensure your vision stays healthy and clear. If you feel your eyes condition is continuing to get worse at an accelerated rate, it is best to see your eye doctor to ensure medical attention isn't necessary. Over 9% of Americans suffer from diabetes, and approximately 1 out of 3 diabetic adults are affected by diabetic retinopathy. There are quite a few ocular complications caused by diabetes, but diabetic retinopathy is considered to be the most severe. Diabetic Macular Edema – Diabetes has been known to potentially cause edema, or “swelling,” of the macula. The macula is responsible for the central part of your vision, without which we be unable to make out a lot of detail. If left undiagnosed and/or untreated, diabetic macular edema could cause scarring to your macula and permanent vision loss. Sudden Changes in Vision – Blood glucose level fluctuations can often cause the lens inside of your eye to change, which can make your vision change exponentially. This might make you believe you need to update your eye prescription, but in all actuality it is the diabetes preventing your eyes from working properly. Having a sudden dramatic change in your vision is never good, but it can serve as the first detectable sign that you might have diabetes. Diabetic Retinopathy – As mentioned above, this condition is considered to be the most severe of all the diabetes related ocular complications. It affects the small blood vessels in the retina, which can lead to potential blindness or, at the very least, major vision complications if left untreated. The risk of developing diabetic retinopathy unfortunately increases the longer someone has diabetes. This risk is only worsened if the person with diabetes exercises poor blood glucose level control. Glaucoma and Cataracts – Diabetes raises the risk of developing glaucoma by approximately 40% and cataracts by about 60%. It is possible that diabetes might accelerate the progression of each of these conditions as well making them even more damaging for your eyes. It is important to schedule regular eye health examinations even if eye symptoms aren't manifesting themselves, especially if you knowingly have diabetes because of the increased risk of eye disease. It is best to catch ocular complications caused by diabetes early to halt damages to your vision as much as possible, but diabetes related ocular complications don't always produce symptoms that are visible to you right away, making the need to be have routine eye exams with your eye doctor all the more important. After becoming the world’s youngest doctor at 17, Bala Ambati found his calling in service to the world’s blind—a staggering number which currently stands at 42 million people. Dr. Ambati came to the pivotal conclusion that “the way we deliver medicines to the eye has to be better” and began developing an implantable disc to enable cataract surgery patients to heal without eye drops. INKtalks are personal narratives that get straight to the heart of issues in 18 minutes or less. Watch Dr. Ambati's INK presentation from earlier this year to learn more about his fight to cure blindness. What is a Pterygium? And What are my Treatment Options? 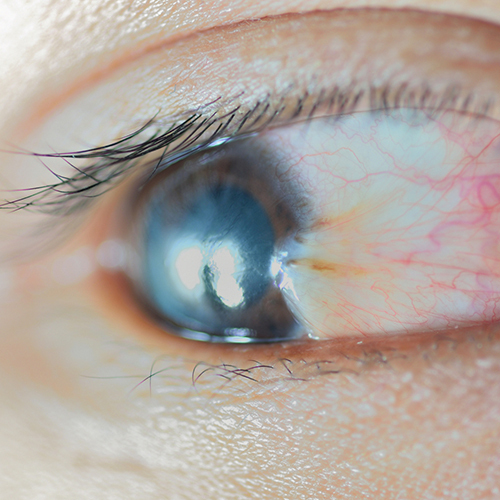 People generally describe a pterygium as a “whiteish-yellowish, wing-shaped growth” that grows over a part of your cornea, but what is it exactly? Medically speaking, a pterygium is an overgrowth of fibrovascular tissue and conjunctiva on the surface of the cornea. In most cases, a pterygium begins as a pingueculae (try saying that ten times fast)—An elevated “whitish-yellowish growth” on the white of the eye. Pingueculae are most commonly located nasally, or temporally, on the interpalbebral fissure—located in the area between your upper and lower eyelid. A pingueculae becomes known as a pterygium when it starts to grow in a wing-like shape more centrally over the cornea. By themselves, pterygium aren’t harmful and most commonly are caused by an over exposure to the sun, dust, or high winds. 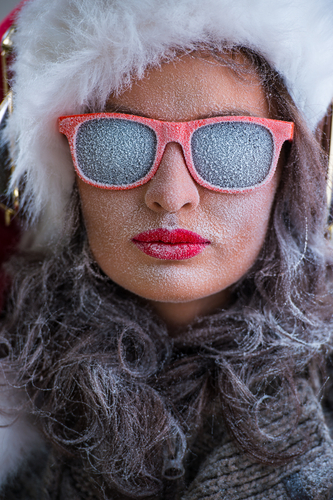 It is important to wear protective eyewear, like sunglasses, to protect your eyes when you are outside. An interesting fact—Cases involving pterygium become more common as you get closer to the equator. Never fear though, there is medical treatments for pterygium. In fact, most commonly pterygium can be treated with lubricating eye drops or anti-inflammatory eye drops. In some cases, removing pterygium can require surgery, but this is far less common than the aforementioned removal using medical eye drops. Surgery only becomes necessary if the growth: starts inhibiting the visual axis, is unresponsive to medical eye drop treatment and becomes excessively irritating, or you begin to develop a serious astigmatism (caused by corneal surface irregularity). Should a pterygium or pingueculea be removed using surgical methods, it should be sent to a pathologist to analyze. In rare cases, precancerous lesions can masquerade themselves as pterygium. If you find that you are developing, or have developed, a pingueculae or pterygium make sure to have it checked out by your eye doctor so that future treatment can be planned! A little known fact about your glasses is that they can harbor bacteria which can irritate your eyes. This is due to bacteria and other eye-irritants making the transition from the environment to your hands and from your hands to your glasses and from your glasses to yo…—well you get the idea! Using your breath to clean your lenses can also expose your eyes to potentially irritating bacteria. Blepharitis: A common condition that causes inflammation of the eyelids. Bacterial Keratitis: An infection of the cornea that causes pain, reduced vision, light sensitivity, and discharge from the eye. Sty: A painful red lump near the edge of your eyelid that looks like a pimple. Conjunctivitis: Commonly known as “pinkeye,” Conjunctivitis is often caused by infection from bacteria. It is seen mostly with children. Your best approach to limiting your eyes exposure to potentially irritating bacteria is to make sure you are keeping your glasses clean. Use warm water and a little dish soap when you clean your lenses and frames, and make sure to use a soft towel to dry them off so you don't scratch your lenses. Rubbing alcohol can be used to clean your glasses as well, but make sure that there isn't a conflict with a special coating on your lenses first. I was deeply saddened when I received news of former president A.P.J. Abdul Kalam’s passing earlier this summer. He was an inspiration for me and many other young Indians due to his pioneering in space science, aeronautical engineering, and nuclear missile technology. A little known fact about Kalam’s legacy was his fight against blindness, this is something that resonates especially closely with me. Please read my tribute to A.P.J. Abdul Kalam, I have shared on The Week. Creating any type of medicine takes a lot of time and labor, but there is an assumption that all drug development follows a linear path of trials before it can see a public release, this is not necessarily the case. Thousands of scientists, from thousands of different locations, conduct research over the course of many years before a drug can be considered safe enough to be on the open market. Studies have shown that the journey to getting approved by the Food and Drug Administration (FDA) is always a bit different. A recent publication on the Washington Post provides some added insight into the labor-intensive process of developing life-saving treatments. There are certain types of genetic and non-genetic diseases that can cause damage to photoreceptors and retinal ganglion cells. When these get damaged they begin to function improperly and eventually die, at that point we lose our ability to see. In developed countries around the world, Age-Related Macular Degeneration (AMD) is the leading cause of damage and death to the photoreceptors in the human eye. The human body has limited abilities to repair damage to nerve cells, and unfortunately lacks the ability to grow new ones. Without these photoreceptors, the eye has trouble converting light to electrical signals for the brain, causing your vision to grow darker. Cataracts are another major issue, and are the leading cause of blindness around the world. If you are over the age of 40 and are having issues with vision loss, then there is a good chance you are beginning to develop cataracts. The damage done by cataracts is at the front of the eye, and can be corrected fairly easily with LASIK surgery. Issues with dying cones, rods, and photoreceptors are located at the back of the eye, so they are unreachable by current LASIK technology. 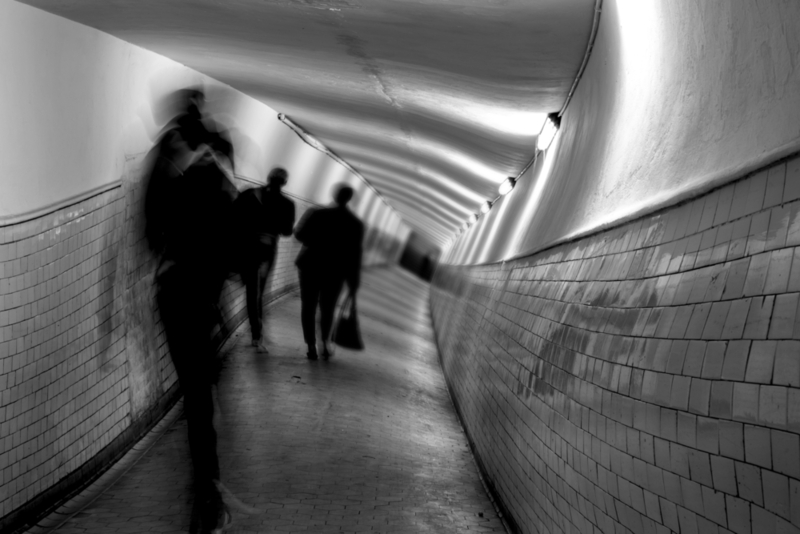 Is there a cure for blindness? The ganglion cells in your eyes remain intact despite damages to your photoreceptors. The issues is that without those photoreceptors, your ganglion cells are just sitting there with nothing to do. Photoswitch takes these dysfunctional ganglion cells and infuses them with photoswitch molecules. These molecules are designed to change shape in response to light. This gives the ganglion cells the ability to sense light on their own. This essentially makes your ganglion cells self-sufficient vision producing machines! The animal testing of the photoswitch molecule has thus far given off positive results, but we won’t know for sure if this technology is a viable option for humans until more tests have been completed. If results are positive after human testing then photoswitch can improve vision for those suffering blindness beyond anything that the current bionic eye technology offers. Most people over the age of 40 that suffer vision loss are developing cataracts. Cataracts are the leading cause of blindness throughout the entire world. The number of cases of cataracts far eclipse the amount of glaucoma, macular degeneration and diabetic retinopathy cases combined! Subcapsular Cataracts: Occurring at the back of the lens. These are most common in people who have diabetes or are regularly taking high doses of steroid medications. Nuclear Cataracts: Formed deep in the nucleus of the lens. This type of cataract is generally associated with aging. Cortical Cataracts: These tend to occur in the lens cortex—a part of the lens that encompasses the central nucleus. This type of cataract is generally known for its opaque wedge shapes that begin forming in the periphery of the lens and gradually move in towards the center. According to Prevent Blindness America (PBA) as it stands right now, more than 22 million Americans age 40 and older are suffering from cataracts of some form. By the year 2020, this number is expected to rise to as many as 30 million! Depending on the type of cataract you have started to develop you might not experience any symptoms or in some rare cases your near vision can actually improve temporarily. It is important to remember that cataracts generally develop slowly and won’t dramatically affect your vision early on. If you believe you are beginning to develop a cataract, make sure to set up an appointment immediately so we can be sure, and begin planning your treatment.